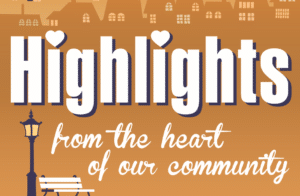 The show airing May 28, 2018 – June 4, 2018 ‘highlights’ the University of Charleston’s Golden Gala honoring Drs. Ed & Janet Welch and UC School of Pharmacy ExRx Boot Camp. We interviewed Bernie Layne, Chair of the Welch Challenge, about the campaign and the event it. UC undertook an $8 million fundraising campaign in honor of Dr. Edwin Welch, President of UC. The campaign, which launched in summer of 2017, will allow for a new athletic complex bearing the Welch name. The new Welch Athletic Complex will be the home of UC Men’s & Women’s soccer, along with Baseball and Lacrosse teams. 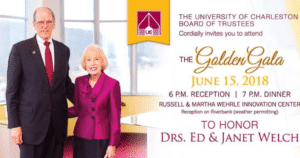 The Golden Gala to honor the Welchs is scheduled for Friday, June 15, 2018 on the campus of UC beginning at 6:00 p.m. Ticket information is available by calling 304-357-4849. We also talked with Jamie Bero, Director of Student Affairs and Jane Condee, Assistant Director of Experiential Education at UC. The camp is primarily for high school and college students interested in pharmacy or health-related fields. The camp is set for June 19-22, 2018 on the campus of UC. Call 304-720-6685 to learn more.